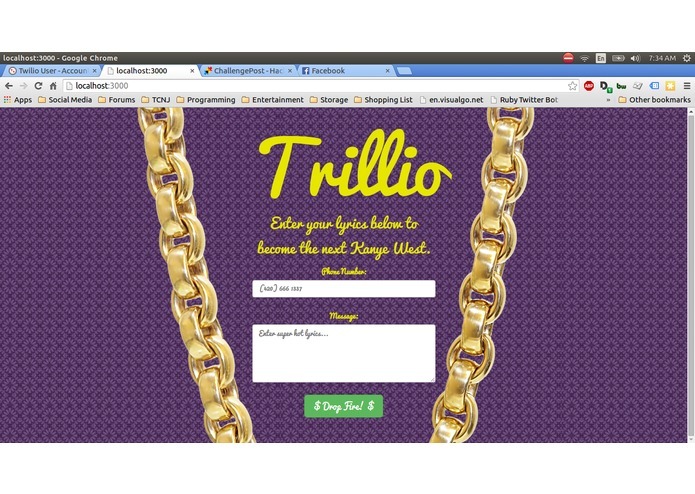 Turn your lyrics into a hot rap song and hear it over the phone using Twilio. Enter a phone number and some lyrics into our web application and you'll quickly receive a phone call with your lyrics being rapped over the newest and freshest beats. Built using NodeJS, Twilio, ffmpeg, handlebars, bootstrap.